How can we perceive History? Starting from this question Daniel Franke will explore some core ideas of his "time-sculpture" that he will map during the fellowship at Chronus Art Center. With the concept of a dynamical archive he wants to challenge human time-perception and history, and takes as an approach to transfer history's artificial time-frame to a scale perceivable by humans. 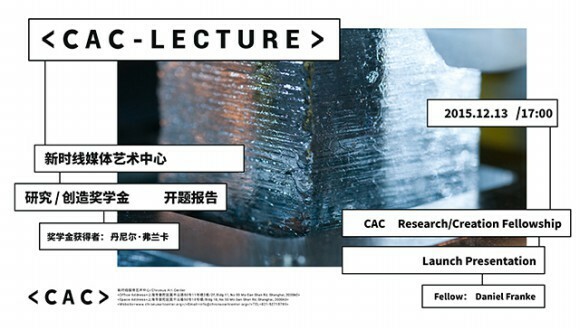 The talk will focus on two dimensions of the work: first, an archaeological analysis of media artifacts important for Chinese and Western culture following notions of "deep time", and second, geological aspects and the processes behind stratification that can be summed up as “the wisdom of the rocks”.